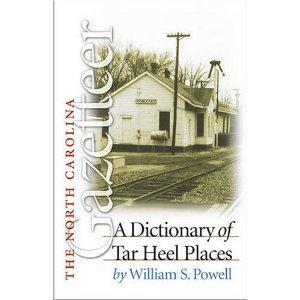 Historian William S. Powell first assembled “The North Carolina Gazetteer” in 1968. The book has since served as an essential reference for readers with an interest in the state and the fascinating stories that are attached to places like Frying Pan, Hanging Dog, and Naked Mountain. Powell’s book has recently received an update with help from Michael Hill, research supervisor at the North Carolina Office of Archives and History.